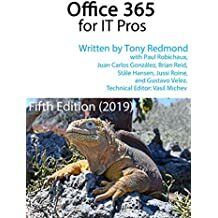 Office 365 by the numbers – an ever-increasing trajectory (July 31): Microsoft does not publish details of how many subscribers connect to Office 365 so you have to make some educated guesses as to how they’re doing. The most recent data was a report of a $2.5 billion annual run rate given at the recent Worldwide Partner Conference (WPC). Plugging that into an Excel worksheet indicates that Office 365 now has 9.53% of the installed Exchange base. But the trajectory is upward and the installed base is moving. The question is how quickly it will move over the next few years and how much will end up in the cloud. Recent legal debate and U.S. rulings that Microsoft has to provide copies of email kept on Office 365 servers in Ireland won’t help reassure non-U.S. customers that their data is safe in the cloud, so it will be interesting to track how things evolve over the next few months. Lingering entries for long-deleted servers (July 24): Exchange 2013 is pretty good at cleaning up after itself, but it does leave references to long-departed servers in the system registry on servers. And this causes Managed Availability to have a little fit. Just a little one. The changing nature of email NDRs (July 22): A heck of a lot of non-delivery notifications are issued by email systems daily. The question is whether you can adjust the content of the NDRs to make the recipients better understand why the email didn’t get through. This post looks at some NDRs from common email systems and concludes which is the best. Challenges await as Microsoft dumps MEC, TechEd (and other conferences) for a mega-event (July 21): It looks like many of us will be heading to Chicago, IL in the first week of May 2015 to attend Microsoft’s mega-IT technology event. The sad thing is that this event replaces the like of MEC, which I enjoyed immensely. The good thing is that it puts a bullet through TechEd, which I did not. We’ll just have to wait and see how good the new event is and whether Microsoft can deal with the organizational and logistical challenges that await. Protect users by suppressing Outlook’s conflict resolution reports (July 17): Outlook generates conflict resolution reports when it encounters a problem with an item, such as when two clients operate on the same item at roughly the same time. Normally things go smoothly and Outlook resolves the conflict, but then it has to tell the user that a conflict existed and what was done to resolve the issue. And the problem is that most users don’t care and don’t understand the report. So do everyone a favor and suppress the reports. Outlook will still do its thing and users won’t be bothered. It’s a win-win all round. Outlook Apps – a new approach worth considering (July 15): The history of Exchange APIs is studded with many failures. Things like CDO Routing Objects – a nice idea but badly implemented and poorly supported. Now we have Outlook Apps, which really seem to be a nice thing because they work across multiple platforms and come with a lot of example code to get you going. Worth looking at! Microsoft Learning insults Exchange professionals with simply awful video (July 14): I received a lot of feedback after I posted this note about a video that I thought was really bad, mostly because it was a very unprofessional way (IMHO) to treat an important topic. Thankfully Microsoft Learning agreed and they took the video down. See what you think. Inconsistent searches all too commonly seen in Exchange (July 10). Last week a ZDNet contributor posted a note explaining why he had junked Outlook after many years and had moved to Gmail. The poor search facilities available in Outlook and the inconsistent results that are achieved when searching online and offline were part of his problem. The good news is that Microsoft is aware that they need to do better with search. This can’t happen soon enough. Codename “Oslo” is now the Delve product (July 9): Much hype accompanied the announcement that Microsoft was working on a product designed to make better sense of all of the information floating around corporate IT systems, especially in places like Outlook mailboxes and SharePoint document libraries. The new product was codenamed Oslo. Now it’s Delve and it’s coming to Office 365 users by the end of 2014. It will be interesting to see how Microsoft resolves issues like privacy and inadvertent disclosure of information when Delve appears. Security Design Change for Office 365 Public Folders Causes Inbound Email to NDR (July 8): Microsoft said that they were committed to providing better up-front information about upcoming changes to Office 365 through their online roadmap, which is really very good. But then we’ve had a series of small but irritating changes that no one seemed to realize should have been communicated. This one was a good change in that it increased security for mail-enabled public folders and restored parity with Exchange 2010, but it broke stuff for customers without warning, which is never good. Two recent Microsoft changes affecting Office 365; one reversed, one partially (July 3): Another set of unannounced changes. The first was when Microsoft took over domains operated by No-IP.com and caused mail routing to break for legitimate customers. The second was a botched attempt to introduce new administrative roles within Office 365. The No-IP situation is now resolved and the new roles have been withdrawn – but they’ll be back. Directory flaw led to Exchange Online outage (July 1): The 7-hour Exchange Online outage on June 24 was caused by the directory infrastructure failing to keep pace with authentication requests. The issue revealed a problem that Microsoft is fixing and it’s also a warning for on-premises customers – if Active Directory goes bad, lots of strange and screwy things happen with Exchange. Period. I can’t pretend that I will be as productive in August. Vacation beckons. This entry was posted in Cloud, Email, Exchange 2013, Office 365, Technology and tagged Delve, Exchange 2013, Exchange Online, Installed Base, Managed Availability, MEC, NDR, Office 365, Oslo, Outlook 2013, Outlook conflict resolution, Outlook Web App, Public folders, TechEd, Yammer. Bookmark the permalink.